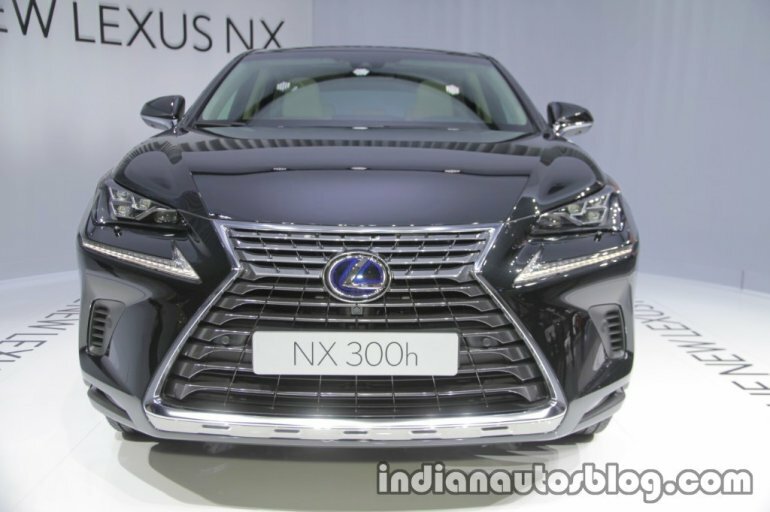 Lexus has showcased the 2018 Lexus NX 300 at the 2017 Frankfurt Motor Show. Here are the SUV’s images from the stall. 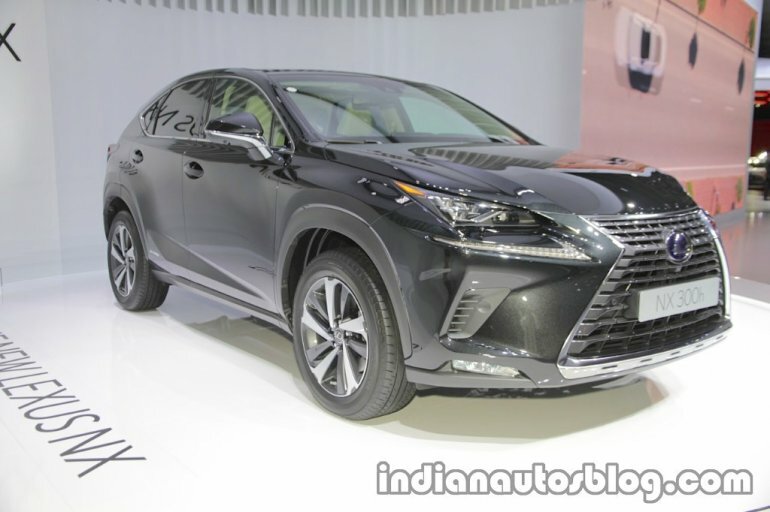 The 2018 Lexus NX 300 gets a refreshed front fascia. The upper portion of the grille and the front bumpers are redesigned to blend into the hood and front doors fluidly. The SUV gets AHS-equipped headlamps and triple projectors that are similar to those equipped on the LC luxury coupe. The lower rear bumper cover now involves elements of the grille’s spindle motif and has been broadened to enhance the vehicle’s width. The rear features refreshed tail lights and bumper-integrated chrome-tipped exhaust. The sporty variant, the NX F Sport gets black front grille, exclusive alloy wheels and interior with Naguri aluminium ornamentation. It also gets separate readouts for turbo boost and G forces for the HUD display. The interior includes a larger 10.3-inch display and a bigger wireless charger tray. The HVAC control panel now features a small section of buttons for easy operation. The switches are finished in metallic satin. The electrically actuated rear hatch can be operated by foot as well. Additionally, there is a switch on the rear console for the passengers to set the air conditioner temperature. Powering the 2018 Lexus NX 300 is a 2.0 litre inline four cylinder turbocharged engine that makes 235 PS of power, and 349 Nm of torque at 1,650-4,000 rpm. The engine pairs with a 6-speed automatic transmission. The NX 300h (featured) gets a 2.5-liter inline-4 combined with a pair of electric motors at the rear. The combined output is at 194 PS and the claimed combined efficiency is 13.1 kmpl. These specifications are for the US market where Lexus has released details. On the safety front, the SUV is equipped with Lexus Safety System +, which integrates active safety technologies such as the Pre-Collision System (PCS); Dynamic Radar Cruise Control System; Lane Departure Alert (LDA) and Automatic High Beam (AHB). It is also equipped with Intelligent Clearance Sonar (ICS).